Indian technology, PM Modi said in the talk themed "Technology and Governance" is also greatly helping out other nations. "With the help of Indian technical and economic cooperation, 160 nations have improved their infrastructure. 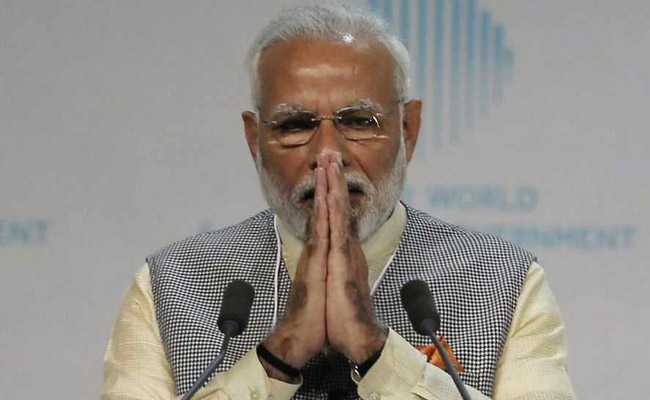 Prime Minister Narendra Modi today said technology, changing at the speed of thought, will ultimately have the answers to some of the global challenges and it was the duty of governments to use it for development and not destruction. Delivering the keynote address at the World Government Summit in Dubai, PM Modi also spoke of the technological edge of India and how he personally monitors the projects. Indian technology, he said in the talk themed "Technology and Governance" is also greatly helping out other nations. "With the help of Indian technical and economic cooperation, 160 nations have improved their infrastructure. Africa has improved tele-medicine and education facilities with India's help," he said. In India, the government departments are mapping their resources using satellite imagery, he said. With this, projects stuck for even 40 years have started moving. "Files stuck due to bureaucracy have started moving, because of real-time monitoring which technology has made possible," he said. In this context, he also named Aadhaar, India's 12-digit Unique Identification project, saying it led to the plugging of leakages to the tune of $8 billion. He also named the big spinoff of demonitisation -- a fresh focus on cashless transactions that was expected to weed out corruption and black money. Since November 2016, when demonitisation was announced, a "digital payment revolution has been happening in India," the Prime Minister said. With the Start-up India programme, India has become a start-up nation, creating an innovation ecosystem. The Prime Minister - who is on the third leg of his three-nation tour in the Arab world - said the city of Dubai was the great "driver of technology". "A person can be awed by hearing the technological advances in Dubai, but seeing it for real is a great experience... It has converted a desert into an ocean, a miracle feat," he said. Underscoring the importance of harnessing technology in the right direction, he said in the "new world, we are interconnected, we are interlinked, we are living interdependent lives. In the times to come, we will together face global challenges. And in this, technology will be a big help," he said.